CityLab High School students cross a street near Dallas City Hall on their first field trip in September 2017. Teacher Peter Goldstein leads students around Dallas City Hall to talk about its architecture. 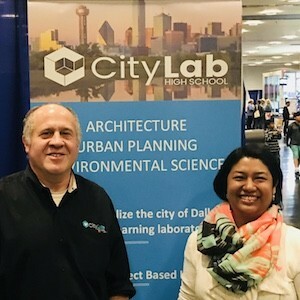 The co-founders of Dallas ISD’s CityLab High School are being honored this week for their vision and creation of the school with an Urban Design Award from the Greater Dallas Planning Council. Peter Goldstein and Lorena Toffer were honored on Dec. 4, 2018. Goldstein is a licensed architect and teaches architecture at CityLab, while Toffer is an architect based in Dallas. CityLab opened for the 2017-2018 school year in the district’s Pegasus Building, a few blocks from the Dallas City Hall and the heart of downtown. The high school literally uses the city as a lab to study urban planning, environmental science, architecture and more. The two received the Mark Goode Urban Pioneer Award, named for the former Greater Dallas Planning Council president and board member who passed away in November. 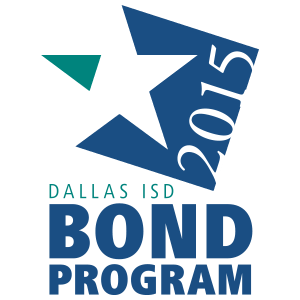 Applications are being accepted now through Jan. 31, 2019, for the many Dallas ISD specialty schools and programs – such as CityLab – magnets and more for students in all grade levels. Find the school best for your child by starting at www.dallasisd.org/yourchoices.